They may also be used for storage tanks, such as spacecraft fuel tanks. Because aluminum is not weakened by low temperatures, it is especially useful in cryogenic storage applications. Aluminum plates are important utilities in a variety of contexts. In defense contracting, for example, very thick aluminum plates can be used as structural armor in bunker construction, and the same is true in the construction of armored vehicles. 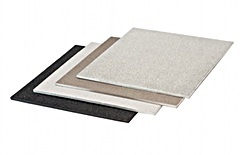 Textured aluminum plates are often used as flooring materials, particularly in industrial contexts. For example, in a warehouse loading dock, a strong, chip-resistant surface must be present in truck unloading areas. Such surfaces are often made with ridges or other shapes that increase traction, reducing the risk of worker slippage, injury and product loss. Along with aluminum rods, tubes and sheets, aluminum plates are among the many basic shapes that aluminum suppliers offer to their clients. 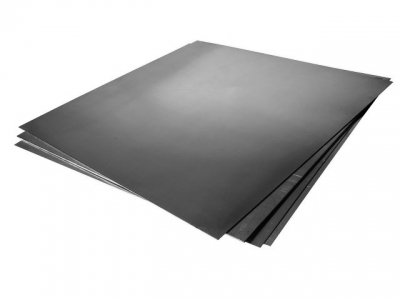 Aluminum plates are available in a number of different alloy grades and tempers. One common aluminum alloy used for the construction of plates is 7075 aluminum. 7075 aluminum is characterized primarily by its strength and resilience. Its main constituent materials are aluminum and zinc. Aluminum plates are produced from aluminum ingots, which are large bars of raw aluminum. The ingots vary widely in terms of shape, size and weight; they can weigh as much as 20 tons, though they are usually supplied in more manageable sizes. After the material is produced, the plate is then manufactured at a breakdown mill. At the mill, an aluminum ingot is rolled by heavy machinery until it reaches its desired thickness, which is generally just a few inches. From there it may be shipped off or it may be further flattened into an aluminum sheet. It can also be subject to texturing or stamping processes. Aluminum plates may also be subject to surface finishing processes like anodization; this can be the case when an aluminum plate is used as a structural embellishment or when it has to resist corrosion-inducing forces like salt water or prolonged heat. Aluminum Plates An aluminum plate is a flat, thin sheet or piece of aluminum, usually of uniform thickness. Aluminum plates have excellent strength-to-weight ratios, which makes them highly desired and commonly used in shipbuilding, automobile manufacturing, military vehicle armor production and many other industries.